The Phoenicia, named after a small village about 20 miles from the Lodge, is a lovely hexagonal room on the second floor. 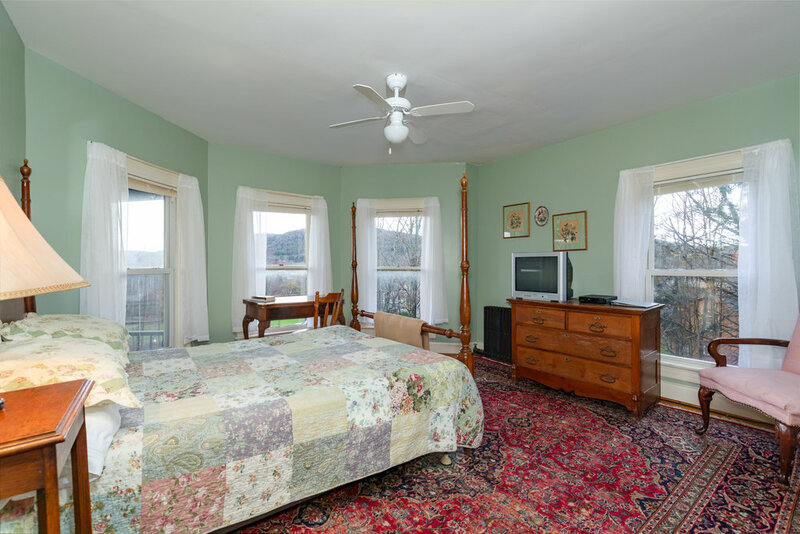 Front-facing and with windows all around, it offers fabulous mountain views and plenty of natural light, and it is the most spacious of all our second-floor rooms. There is a queen-size bed, TV/DVD player, and room for a portable crib or cot (provided free of charge). 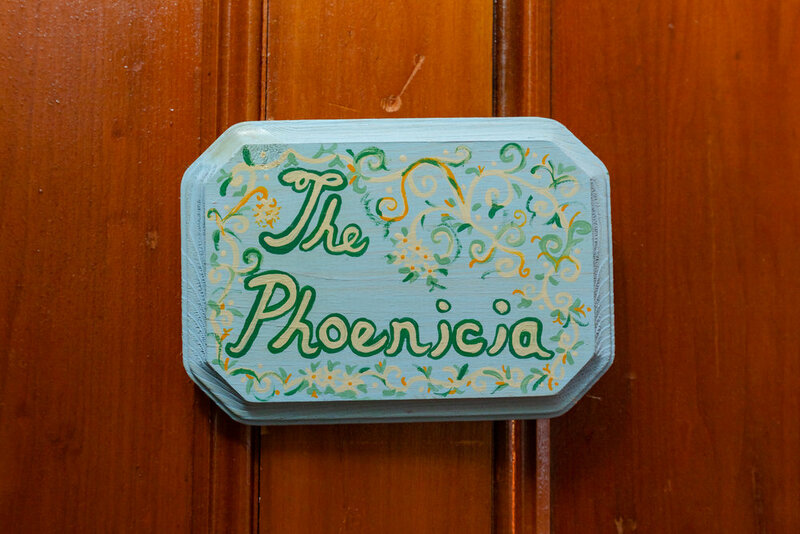 The Phoenicia’s bathroom, just steps beyond its door, is shared with the Esopus. 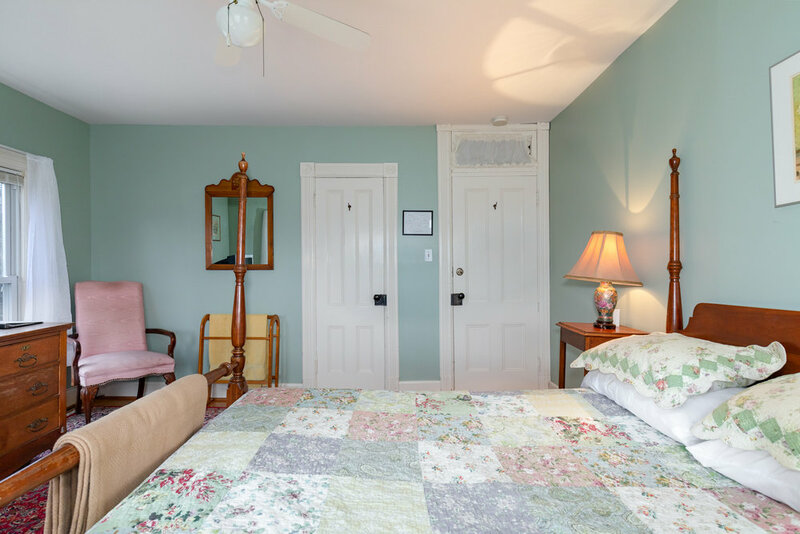 Booking both rooms creates a private two-bedroom space: The rooms and bathroom are blocked off from the hallway by a privacy curtain.